"Welcome to the School of Geography and Environment, an intellectually vibrant, research-intensive academic department at the centre of British geography." 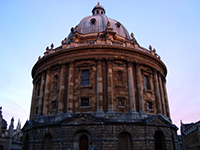 An academic department of the University of Oxford, the School is internationally recognised for the quality of its teaching, research and wider engagement. In addition to world leading education and research in the School, we host three internationally recognised research centres and lead cross-university initiatives and collaborative networks. 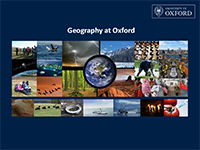 Experience the unique and integrative undergraduate geography degree programme at a university leading the way in geographical teaching and research. 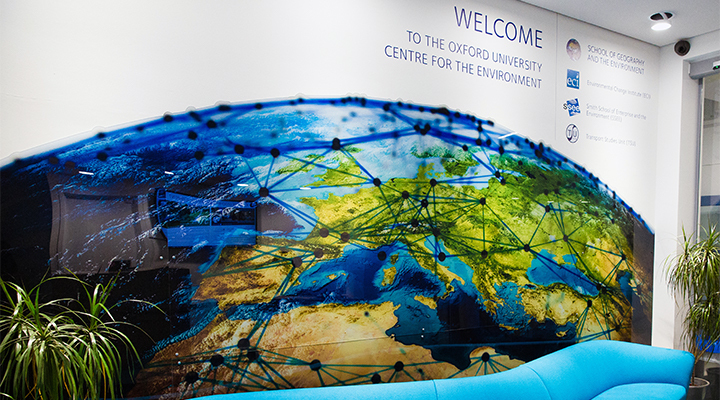 Our undergraduate degree provides students with a wide range of experience and skills across the breadth of geography, based on in-depth teaching from our many expert staff. With over 200 graduate students from a range of nationalities, professional and disciplinary backgrounds we are one of the largest, most diverse and vibrant graduate schools in the world offering six advanced degrees in Geography and the Environment.